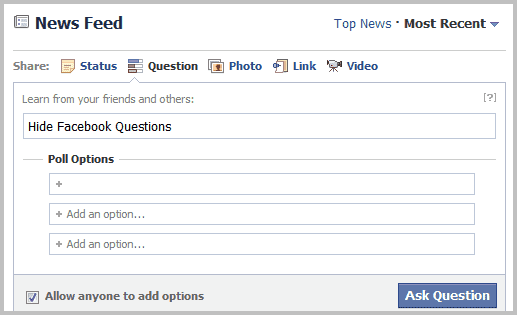 One of the more annoying things on Facebook.com as of late is a relatively new feature called Facebook Questions. It basically allows anyone on Facebook to create polls. These polls then appear not only on your own Facebook wall, but also on the news feed of your friends, which can be pretty annoying when a lot of friends create new questions regularly, or like to answer them. Some Facebook users like to hide Facebook Questions because of that. Facebook itself has no option to do disable the polls feature, which means it is up to userscripts and browser add-ons to do just that. Here is a collection of tools to block polls from appearing on your Facebook news feed. The Facebook Questions Remover userscript hides all Facebook questions occurrences on Facebook, regardless of where they appear. 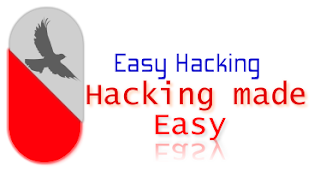 Google Chrome users can install the userscript right away, Firefox users need to install an extension like Greasemonkey or Scriptish first before they can install and use the userscript. The script may be compatible with other browsers, including Opera and Internet Explorer. Chrome, Opera and Safari as well, making it almost universally usable. Alternatives: Feed Filter is another Firefox extension to manage what appears on your news feed on Facebook. You can use it to hide lots of stuff, including “asked a question” and “answered a question” news. 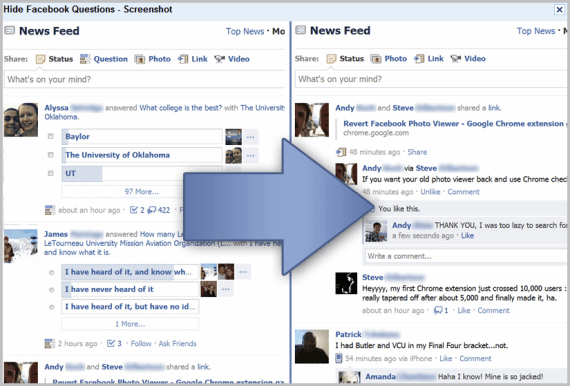 Better Facebook is an extension that is available for virtually every web browser with the exception of Microsoft’s Internet Explorer. It is definitely overkill if you only use it to disable questions on Facebook, but if you have other annoyances then this one may be the best option for you. The tools above should provide all Facebook users with enough options to hide questions and polls on Facebook. If you know of another tool let me know in the comments. Thanks for the link to my "Hide Facebook Questions" extension! I'm saddened to say that the extension was taken down today by Google, cause Facebook claimed trademark infringement. (Though I was careful to read their terms before publishing my extension, apparently they weren't very clear.) I've removed "Facebook" from the name and it's pending approval, so I hope it is back up soon! Thanks for your support!